Spotlight Spotlight Business of the Week for January 22, 2018 is GREAT BOARS OF FIRE! Spotlight Business of the Week for January 22, 2018 is GREAT BOARS OF FIRE! 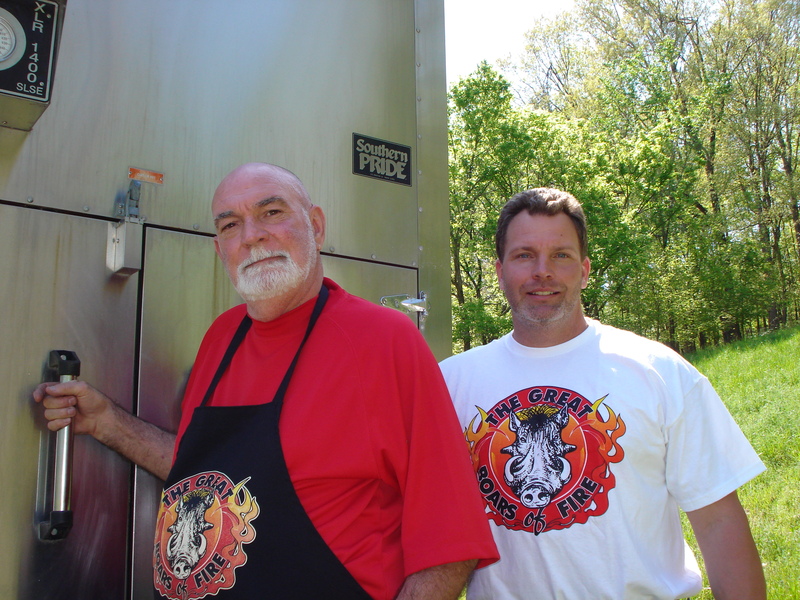 David and Bob Fombelle, owners of The Great Boars of Fire in Cobden, Illinois, have been in business since 1989. They began cooking for enjoyment with one homemade cooker and entered barbeque cook-off competitions across the country. After repeatedly winning many State Championships, a World Championship, Memphis in May and receiving the highest points at the Jack Daniel World Invitational, they quickly progressed to off-site catering. Their rapid growth required them to open a banquet facility accommodating up to four hundred guests. The facility allowed them to host a variety of events, expand their menu and become full service caterers. The Great Boars of Fire reputation and excellent quality of food, found them catering for NFL Teams, The Sugar Bowl in 1997 and The Super Bowl in 1997. (See our list of clients on our web page www.greatboarsoffire.com) They have also catered at the Anheiser-Busch Sales Convention in Anaheim, California serving twelve thousand guests and all the sporting and special events at the Superdome and the Convention Center in New Orleans. The Great Boars of Fire continued growing their business while increasing their market by taking it yet another step by building The Blue Boar Restaurant, which is attached to their existing 10,000 square foot banquet facility, The Great Boars of Fire Lodge. David and Bob Fombelle wanted to accommodate out of town guests for weddings and other special events at their banquet facility and opened The Boars’ Nest Bed & Breakfast in April of 2006. It is located one quarter-mile from The Great Boars of Fire Lodge banquet facility and The Blue Boar Restaurant. The Boars’ Nest Bed & Breakfast has five cabins and is open year round. In June of 2017 they opened their newest restaurant, The Wyld Hog in Crainville. 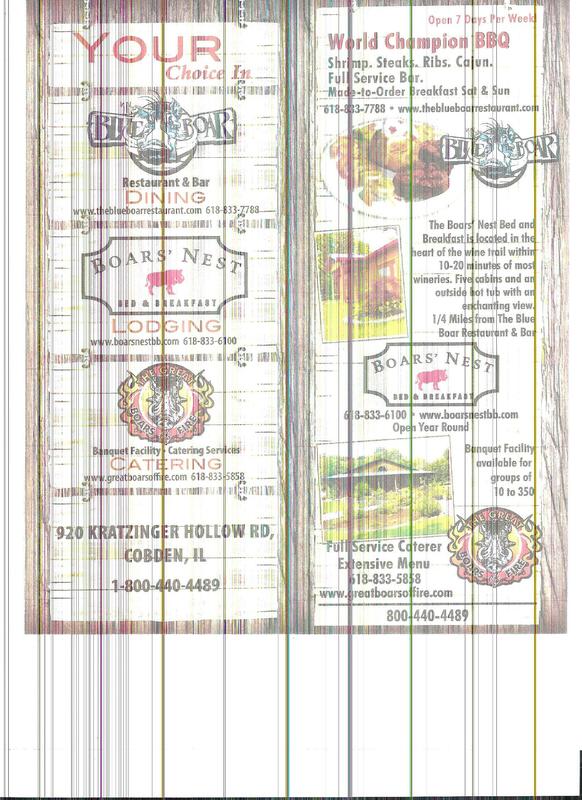 The Great Boars of Fire has been voted The Best Caterer in the Southern Illinoisan Newspaper’s Reader’s Choice Awards for the last four years. There is nothing in the cooking arena The Great Boars of Fire cannot do or have not done. We do the impossible… it limits our competition!